When a relatively small, underfunded area of Britain is capable of displaying a thriving arts scene encompassing music and in addition has something that stretches further to include disciplines such as poetry, it becomes even more worthy of exploration. A strong cultural identity has to be key to such a phenomena and Merthyr Tydfil in South Wales is suitably made for such a description. Musically, it is probably one of the strongest locations in the UK and deserves all the attention it can get. Indie guitar quartet Tracy Island are one of the bands originating and emerging from the city's music community. After recent gigging and touring with a number of guitar bands including the likes of Pretty Vicious, Catholic Action, Rainbow Maniac and The Pitchforks, Tracy Island now have fresh material all written and ready to be recorded and released later this year. Their sound can probably be best described as melodic guitar music with thoughtful lyrics. Song titles include Burdens, Out For The Night, Never Wanna Know and Good Enough For Me. 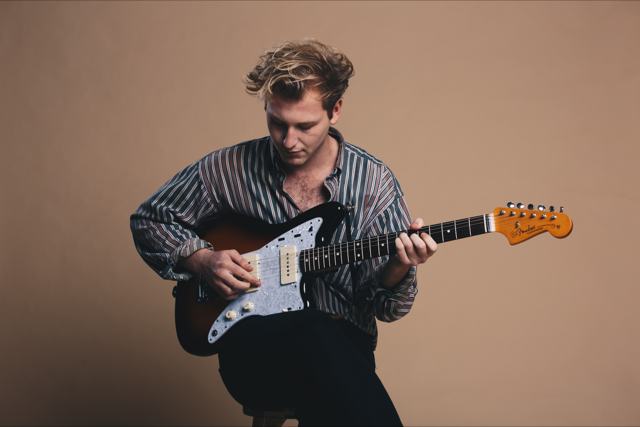 Formed in 2015, Guitarist and vocalist Richard Protheroe, guitarist Finley Anderton, drummer Callum Eckley and bassist Jonathon Edmunds are excited about the prospect of going back in to the studio to record their EP this month. 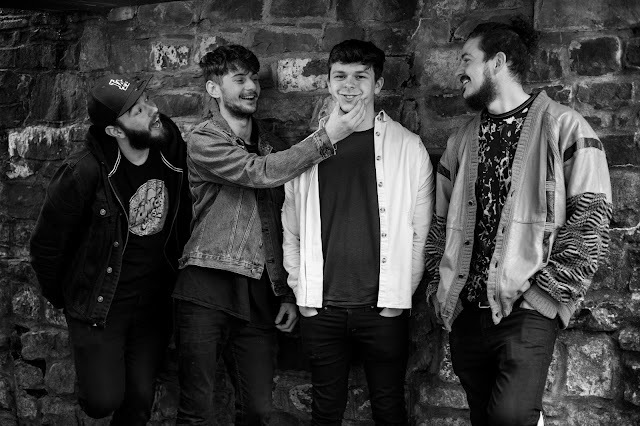 Following the successful outcome of their emerging music government funding application through the Forté Project in South Wales, the band feel they may well have been given exactly what they need in order to develop further and be able to take their music to the next level. Creative productivity and keeping busy on the gig front make timing seem appropriate. 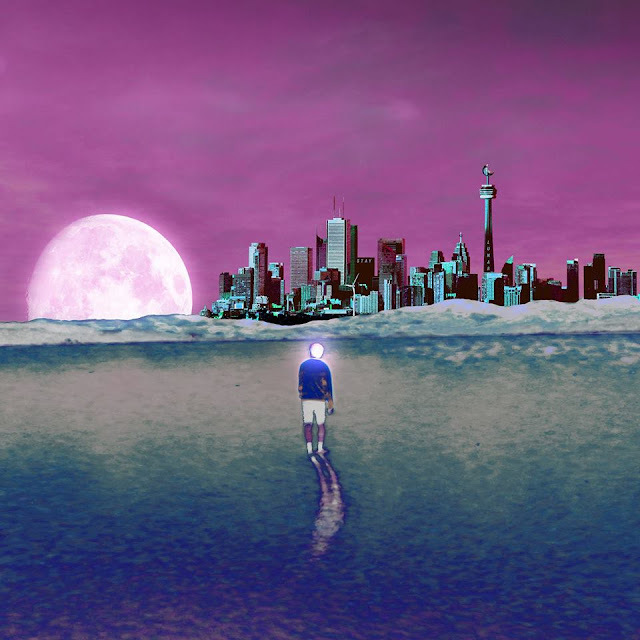 The type of music they make combined with their energy make them relevant and excitingly there is something to suggest the time is just right for the band. It helps that there is a natural interest in the type of music they make and are passionate about. Richard: I think we are quite lucky in terms of what we like, write about and work on. What we produce happens to be current and to be fitting in with emerging indie rock. There is definitely a resurgence taking place right now and we are happy to be part of it. More than anything, it is fun and exciting. Jonathon: This is a really good time to go in and record the songs for the EP. Had we had recorded them at the time of writing the songs I don't think we would have been as happy with them. It has been a long process of waiting but yeah this month is just what we have been looking forward to. 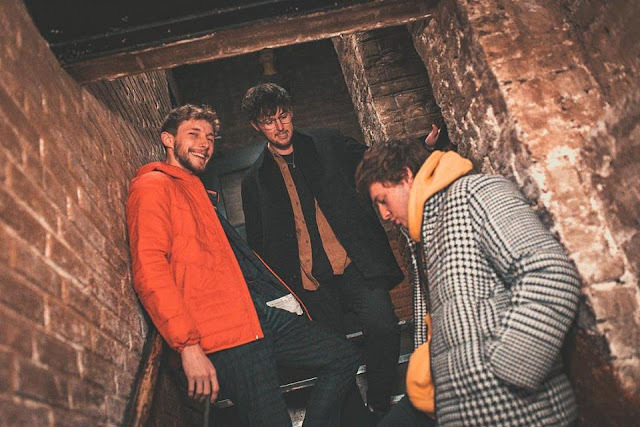 Their influences are wide ranging but they do include some classic indie bands such as The Kooks, Arctic Monkeys, The Smiths, Keane and Frank Turner. Callum: When were in a car together driving to a show or something, no one has ever said ‘skip that song’, so everybody will be happy listen to something new or different. I think that really sums us up as a band, having that sort of tolerance to different tastes in general. Jonathon: I go to Download Festival every year so that is is entirely different. I see it as my treat, I get a chance to listen to heavier stuff but I will listen to anything really, lots of different types of music. Being disadvantaged on one level, Merthyr Tydfil does provide a perfect setting for making music and being creative. There is an incredible sense of community and the bands support each other and are able to share the joy of making music and their immense passion for it. Richard: There has always been a focus on art here, particularly music and poetry. As people we love music but especially where we are from, it is quite an underfunded area but the good thing is that it breeds art, people have time and they just want to play music. Like, before I had my job, before we played in this band, I would just play guitar all day, every day and that I think intrinsically appeals to people in the area. We have got a genuine passion. Naturally, being in it for the same reason does sometimes create a sense of competition but that element still seems to come second. Callum: There is competition but as one band said to us after they had seen us play ‘I’m glad you were as good as we were expecting' sort of represents the mentality here, there is competition but it works in a really positive way, it is not negative. 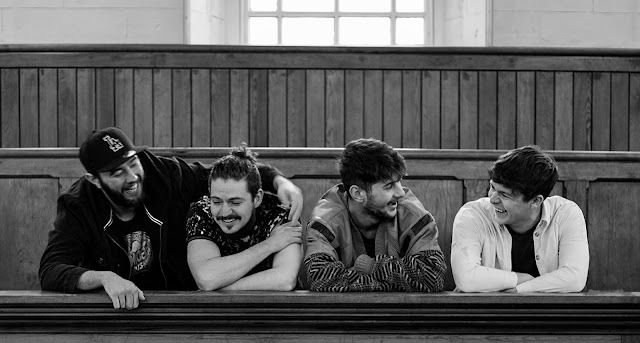 Finley: People might look at other bands like Pretty Vicious, they were very sort of setting an example and giving people confidence ‘we can do it as well’ because obviously Wales has bands like The Stereophonics and The Manics etc. and so people realise it is very vibrant, there is a wide range of music coming out of there. 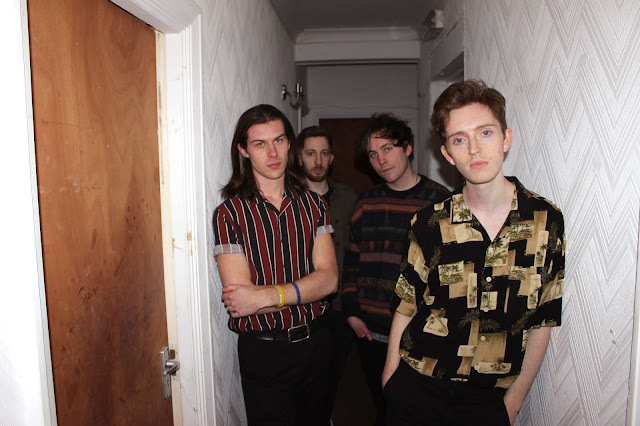 Tracy Island's current situation and outlook certainly is very positive and their future aspirations seem to match that, they want to get their name about, get more exposure to playing live and they hope their music will offer them an opportunity to go abroad at some point. There is no reason why they could not achieve that and more. Richard: We definitely want to be creating more of a presence and hopefully go abroad at some point, that would be a massive thing for us. It can be difficult to see your avenue of how you are going to get from where we are today. We are aiming to get some support slots, that is our main objective. Once we have released our EP then we will hopefully get to play with other bands, a lot of big things could potentially come this year from the release.